Health & Nutrition We Are What We Eat! One of the most important areas of natural living is the study and application of natural nutrition. Food is the fuel of human life. Food, as nature supplies it, is the purest source of the power needed to drive and revitalize your system. It is important for you to realize the two major tasks performed by what you eat. Food supplies you with energy. You must provide your body with sufficient energy to accomplish its daily tasks. This is fundamental to life – even the poorest and most devitalized existence. Food replenishes the dying tissues of your body. 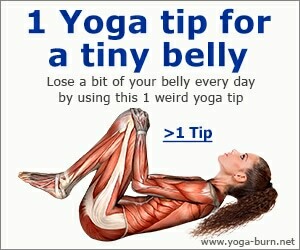 The constant motion within your body requires never-ending replacement of tissue. A balanced diet of natural foods will supply all the vitamins and minerals necessary to replace the lost tissues. The absence from your diet of even one of the many elements of nutrition spells waste, damage and decay to some organ of the body. One sick organ will smash the chain of life within your system. We are all on a diet from the first moment of human conception. What the mother feeds upon provides the diet of the unborn child. The wife and mother does most of the shopping and cooking for the family. Hence, it is she who determines the family diet. That is why it is comforting to see you women increasing your interest in nutrition. But this rate of increased interest in the food you eat is still not enough to begin to cope with the enormous problem of malnutrition that imperils the health of our people. Malnutrition is a common ailment. It is strange to realize that people suffer so widely from undernourishment. Malnutrition is not alone an economic problem. The wealthiest homes in any city often hold the poorest diet and most undernourished bodies in the town. Malnutrition is the silent killer. It lives upon ignorance and flourishes in a climate of complacency. If you refuse to choose your foods with the care and understanding that good nutrition demands, then you have opened your door to every disease and ailment known to man. Colds, headaches, constipation, loss of sight and hearing, fatigue, rheumatics, premature senility, and much more may be directly traced at one time or another to the poverty of nutrition. The nutritional specialists, as well as “food faddists” must share some of the responsibility for the poor diet habits of the nation. Many of these specialists have only helped to confuse the public still further with a maze of charts, diagrams and secret formulas which demand a dozen college degrees to be understood. Some of these learned men and women seem to feel that the more confusion they create, the more dependent upon their “secret” wisdom the layman will become. Good nutrition is no secret! It is common sense. Do not let the food faddists and vitamin fanatics confuse you into a state of despair as they did one young woman I met. Some time ago, while lunching in my vegetarian restaurant in New York City, I found myself in conversation with the charming private secretary to the head of an advertising agency. She was obviously not aware of my work in the field of dietetics or of my interest in the restaurant in which we both happened to be eating. Since we were lunching in a restaurant which specialized in meals prepared with a view to better health, our conversation very naturally found its way to talk of nutrition. A co-worker had introduced Carol to our restaurant two months earlier and since that time she had chosen her food from its menu. She was quick to tell me of the wonderful changes she had noticed in her own health in that short time. No one could fail to notice her wonderful colour, the bright gleam in her eyes, and the beautiful form of her well-fed body. During the recent wonderful months, while Carol had been reconditioning her body and appetite, one problem kept presenting itself. She explained that after all that time, she still had to carry the vitamin-calorie booklet with her wherever she went to assist her in choosing food. She complained that the food charts with the letters and numbers and strange words – Vitamin A, B complex, Vitamin C, niacin, riboflavin, etc., etc. – all of these were confusing to her. She understood them while she read them from the booklet, but they never stayed in her head. I had to agree with her. I explained that these words and code letters had been created by nutritionists and biochemists, specialists in the field of food research. They had created this code, so to speak, to help them in simplifying their work – one letter or word for whole series of qualities. Take Vitamin A, for instance. The A Vitamin, the first discovered, is an important food factor in the preservation of healthy mucous linings, nose, throat, eyes, etc. Vitamin A is also the little fellow who helps your hair to grow and assists in keeping your skin smooth and unmarked, though this is his secondary job. Lately, we’ve come to realize how important Vitamin A is in preventing such eye disorders as night blindness. Now you see, it took me a whole paragraph to explain what Vitamin A does. That is the chief reason why code letters and numbers were chosen for some of our food values. By saying “Vitamin A” you immediately describe all of these things to the person who deals with nutrients every day of the year. But what about the average person, the housewife, worker and business man? Carol started me thinking about all of this, and I began to realize how important it is for us to develop a parallel system for recalling the special values contained in each food. What was needed was some simple way of identifying the life-giving properties in our food. That led me to the realization that each of the vitamins and minerals and others could be named after the particular job it best accomplishes. Vitamin A, as we said, helps to protect our nose and throat against infection, our eyes against strain and blurred vision. Now while it is true that Vitamin A is also effective in preserving healthy hair and skin, its major job seems to be the protection of our eyes, nose and throat. Then, while continuing to designate this valuable food factor by its proper name, Vitamin A, why not construct a second name which would identify the health-giving properties of Vitamin A? I did just that. So from here on through this article, you will notice that I refer to “Vitamin A Foods” as well as “Eye, Nose and Throat Foods”. Vitamin B Complex: This wonderful group of life-givers tends to stay together in one happy family. Thus, where one member of the Vitamin B Complex is found, you will usually find the others close behind. This group breaks down into three major units, Vitamin B-1 or Thiamine, Vitamin B-2 or Riboflavin, and last, but not least, Niacin. Vitamin B-1 (Thiamine) aids appetite, growth, fertility, supplies you with energy and soothes your nerves. Since its most valuable contribution is maintaining your nerve tissues in a state of good health, in the future we will refer to all foods rich in Thiamine as Vitamin B-1 or “Nerve Foods”. Vitamin B-2 (Riboflavin) helps to provide a healthy complexion, avoid ariboflavinosis, protect your lips and mouth against infection and strengthen your eyesight. Following the rule that calls for naming these food factors after the major task they perform, we will now speak not only of Vitamin B-2, but of the “Clear Complexion” vitamin as well. Niacin is that part of the B-complex which protects you against pellagra, a nasty skin and nerve disorder. Niacin also aids in digestion and helps you to fight fatigue and avoid diarrhoea. Like its brothers, B-1 and B-2, Niacin protects your oral (mouth) and mental health. In past years, when the nation’s diet was even less balanced than today, pellagra was a common disease, particularly among the poorer classes. Today, with pellagra less a danger to skin and mind, we look more and more towards Niacin to tone up our appetites and aid our digestion to enjoy better all foods. For that reason, I refer not only to Niacin, but to “Good Digestion Foods” as well whenever I speak of foods rich in this vital factor. Vitamin D: The D Vitamin is vital in the proper formation of bones and teeth, prevents rickets, and continues to assist you in maintaining and repairing the skeletal system throughout. Let us begin calling Vitamin D foods, “Bone Builders,” as well. Vitamin K: This is essential for clotting of the blood. Bleeding in patients with jaundice is thought to be due to deficiency of this vitamin. It can be corrected by injections of Vitamin K, which is found chiefly in liver, spinach, tomatoes, and leafy vegetables. It may be called the “Anti-Bleeding or Blood-Clotting” vitamin. Iodine: Someone once asked me why he should eat foods containing iodine, when the drinking of iodine was a common means of suicide. Now don’t laugh at this poor man, because when you start talking balanced diet and the good life with your friends and neighbours, you’ll find that many of them are just as poorly informed. So instead of laughing at such a person, the thing to do is very calmly to explain the difference between Tincture of Iodine – a deadly poison used to fight infections which the body would throw off without a druggist’s assistance if the body were built up to infection-fighting standards – and the mineral iodine, which is found in many foods and particularly sea foods. Iodine foods must be a part of your everyday diet if you are to avoid goitre, an enlargement of the thyroid gland which results in a lump or swelling at the front or side of the neck. Iodine not only bolsters your thyroid, but it is also known to have a beneficial effect upon certain mental symptoms. But in conformity with our rule of naming a nutrient after the chief job it accomplishes, let us call Iodine the “Guard-Against-Goitre”. Vitamin E: Sometimes referred to as the anti-sterility and anti-abortion vitamin because experiments with various animals indicate that the absence of Vitamin E promotes miscarriage, and sterility in both male and female. Vitamin E is also believed to protect the muscles of the heart and has been used successfully against certain heart diseases. Vitamins B-6 and B-12: The exact functions of these as yet are uncertain. There are indications that both promote growth, particularly in children, and B-12 is apparently useful in defeating a certain form of anaemia. Vitamin P and Rutin: These two are quite similar, and seem to be involved in the important task of building and maintaining healthy blood vessels. Pab (Para-Aminobenzoic Acid): Has been used in treatment of typhus and Rocky Mountain Spotted Fever. Proved useful in avoiding grey hair in certain animals, and a growth factor. I believe that this new method of identifying the various vitamins and minerals in our food supply can be very helpful to us all. I am particularly thankful to that young woman who lunched beside me one day for putting me on the track of a job that needed doing. To Carol and the millions like her, who may have found themselves a bit confused by the many technical terms and codes involved in the language of nutrition experts, I dedicate the above table. Nutrition is not a very complicated matter, and must not be reserved for specialists. Nature’s ways are magnificent in conception and construction, but, at the same time, almost always very simple. Never make the mistake of referring to nature as some great mystery. For if it is a mystery, then it is one to which every one of us has the key. The key to nature is within you yourself. Look there for it and you will never be disappointed. Now that we have reached a clearer understanding of food values, let us go on to examine some of the more common foods which, when taken in a balanced diet, will supply you with every nutrient necessary to a longer, healthier life. To reveal the major values within each food. To indicate the healing and life-giving qualities of many of these foods. To inform you as to the best methods for preparing these foods both to preserve the values and to make these foods appetizing. A handy guide for menu making. Turn to it now, and begin to study it. This is your guide to healthful eating. You will notice that I stress the need of appetizing foods and menus. This is extremely important. Food must be appetizing not alone to make life more pleasant, but actually to make your life a healthier and longer one. 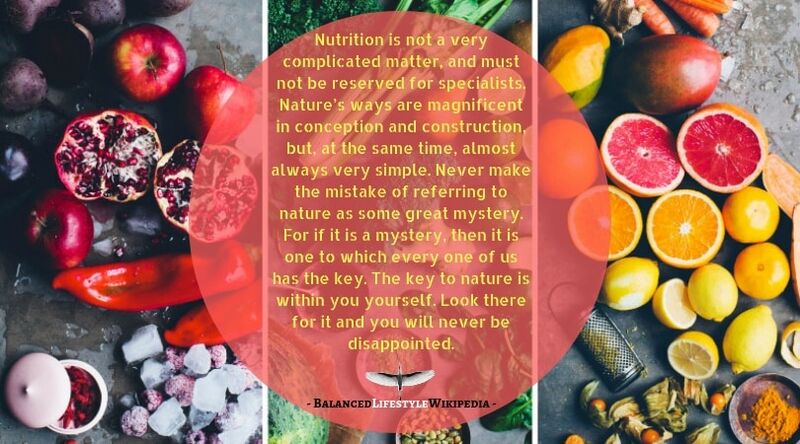 Some people, upon first learning the great secrets of health hidden within their diet, set about constructing a food plan to extend and improve their lives without giving a single thought to the flavour and look of the food they eat. They have forgotten a simple fact: the person who eats his food without interest or pleasure does not receive all the food values he should from that food. Why? Simply because the mental attitude you bring to the table affects your digestive system. Appetizing food causes the digestive juices to flow upon the sight and scent of it. 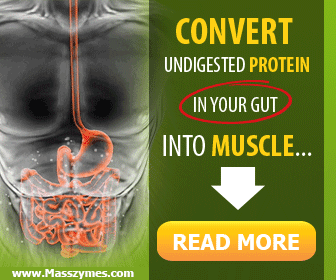 The activity of digestion begins the moment you see and sniff the food you are about to eat. If those juices are stimulated by a handsome, pleasant-smelling and tasty dish, then they will soften each bite of food before it reaches the lower digestive tract and make the job of the stomach that much easier. Food that is unappetizing, carelessly prepared, is swallowed in hard and indigestible lumps. It is difficult, at best, for the stomach to digest a meal of that sort. The result? Indigestion, for one, constipation, for another, and a loss of much of the food value. When food is not properly digested, it passes through the body without leaving its full values behind. It is what might be termed “half-burned fuel”. The person who eats unappetizing food, chosen for the mineral and vitamin content should not be too surprised if he or she does not receive the full value of that food and in the end, is prone to colds, sore throats, headaches, fatigue and much more. His food is being wasted simply because he refuses to interest himself in the pleasure of food. The pleasure of food, that is another important term. Even including the hasty breakfasts and bread-backed lunches which too many of us rush through; the average person spends about thirty-five days each year just eating. On the basis of what is today considered a normal life span, you use no less than six years of your life in the process of eating! Six years of nothing but eating! If you knew you would be spending six years of your valuable life with a certain group of people, you would want to be certain that these people were not only intelligent, but also filled with the zest of life that would make those six years truly enjoyable, wouldn’t you? The man or woman, who sits down to a plate of dish-water (healthful dish-water, of course) and a dry-as-dust salad, has chosen to spend his or her life with the most boring group of companions imaginable. What a sin against the joy of living! What a waste of God’s greatest creation! If you are guilty of this sinful waste, then examine your bill of fare right now! Change your table companions, not the ones with whom you eat but the tasteless things you have been eating! I would be very happy indeed, if I could merely indicate what foods will best promote health and extend your life span, and if you could obtain those foods inexpensively and with little trouble. But unfortunately, this is not the case. Is it because the foods commonly grown on our farms are not the correct variety to promote health and sustain life? Not at all. It is not the kinds of food that are important so much as it is the qualities contained within them. While asparagus supplies us with Vitamin A, one stalk may supply us with twice as much of this EYE, NOSE AND THROAT aid as another. And it is impossible to tell, merely on sight, just which plant will supply you with the most of any given vitamin or mineral. It is possible for a head of lettuce to look fresh, crisp, green and as plump as a melon, and for that lettuce to be almost empty of life-giving food values. Why is this so, and what can we do about it? For the answer to this, we must know more about how food is packed, which is explained in our next article.